Exciting news to all of Malaysian motorcycle road racing fans as they are about to be entertained with the inclusion of Malaysia’s newest addition to the motorcycle road racing championship by Dorna the Moto 2. 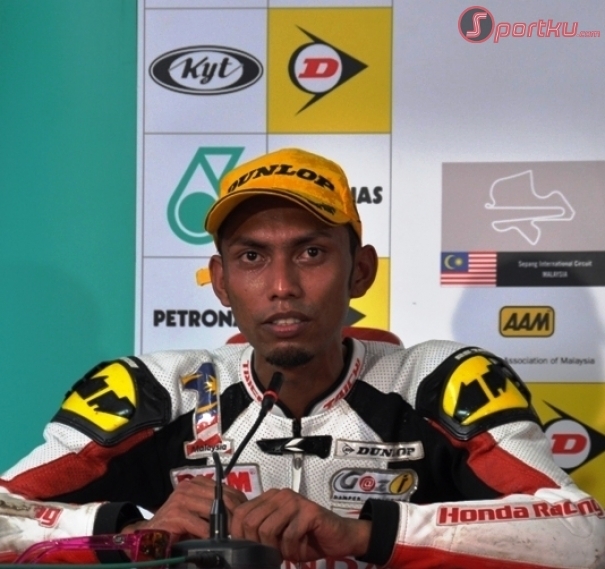 Azlan Shah Kamaruzaman is the rider to look at to as he will starts his first ever career as a Moto2 rider by not becoming a wildcard or paid to ride rider in the championship. 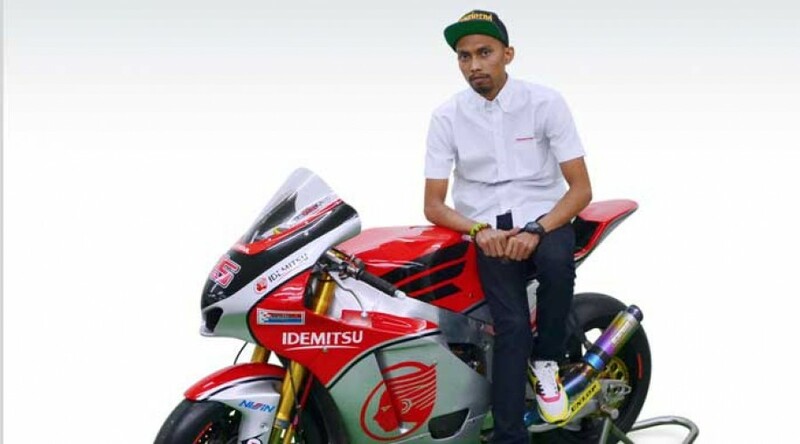 This marks an impressive achievement by the Malaysian as he was chosen to be part of the Honda Team Asia from his consistent and great showing in the regional competition such as the ARRC and the Suzuka 8 Hours endurance. Us from Malaysian Riders has always been impressed by this senior rider and we are labeling him as one of the most competitive rider from Malaysia at the international level. We haven’t got the chance to meet him in person although we have encountered Azlan in a quite numbers of time through the local competition like the CubPrix. The Malaysian will start his path in the San Marino’s round of Moto2 from 11 to 13 of September 2013. Credit must be given to Boon Siew Honda as they have been part of the development for Azlan up to this level and certainly the ARRC competition must continue to grow in terms of competitiveness for the Asian region as they has once again produce a world class rider from the series. Us in Malaysian Riders will certainly be looking forward at the development of Azlan Shah in the Moto 2 as he adds up the Malaysia Boleh slogan to the world championship as currently we have the other Malaysian rider Zulfahmi Khairuddin competing in the Moto3. Discussing about Fahmi’s current performance, he has yet to repeat the great showing from the Malaysian and the Australian round of Moto 3 that he did last year. We are still optimistic that Zulfahmi will definitely turn around his performance by the end of the series this year as he will definitely needs to compete in securing his seat for the upcoming season. We will be back with more updates and exciting stories from Azlan’s journey into the big league and for that please do stay tune with us in Malaysian Riders. Please do LIKE our FACEBOOK PAGE and SUBSCRIBE to our YOUTUBE CHANNEL to get more updates from us instantly. Don’t forget to check out our merchandise at our official merchandiser AUTOMOTO to get one for your own.